As a real estate agent and broker for the past 15 years, I have prepared just about every type of home for sale, ranging from foreclosed and distressed properties to million dollar listings. Below are the top 10 must do things to show the property well and get top dollars. 1. Declutter and declutter – less is more. If you have lots of furnishings and decorations, store some of them. Have a garage sale or donate some of them! Unless you are a hoarder, I would suggest you get psychological help before you put your home on the market. 2. Cleanliness is next to godliness- nothing is more of a turn off to buyers and to agents than a dirty, sloppy, and smelly house. Make sure all bathrooms and kitchen look and smell clean, clothes put away, beds made, closets and pantry organized. Buy plug-in air freshener in each bathroom, kitchen, each bedroom and at entry and pick a soft gentle scent, and not one strong and will give buyers a headache! 5. Send your pets away – or put them in their kennel when prospective buyers are coming. Nothing is more intimidating when your hyper chihuahua is jumping on a buyer or a cat is scurrying away during a visit. Some are even allergic to them like me! Paint your walls – the smell of fresh paint gives a great impression to buyers of newness. Stick to neutral colors like khaki or beige. Baby blue, pink, purple, harvest gold, avocado green, or any obnoxious colors will turn off most buyers. 6. De- personalize – if a section of your house looks like a shrine or a church, or a hallway way filled with family photos, or your kitchen still has flower-themed wallpaper and matching drapes, it’s time to take them down! I am a Filipino American and was raised Catholic. When I walk into a typical Filipino or Hispanic home, I feel like I’m walking into a makeshift Catholic Church with several crucifix on the wall and a host of statues of saints. Your home should appeal to the general population.Let there be light – open the blinds, pull up the shades, and draw back curtains and let natural light come in. 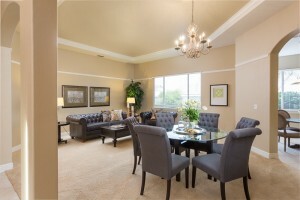 Change all the burned out bulbs, turn on all the lights when holding a open house. 7. Let there be light – open the blinds, draw the curtains, and pull up the shade. Let as much natural light flood your home to create a bright and cheery atmosphere. Dark spaces feel gloomy and depressing. Replace allthe burned out light bulbs. All the lights and should be turned on when holding an open house. 9. 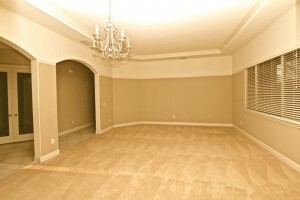 Staging – hire a professional stager to if you are selling a vacant home. A staged home creates a lasting first impression with buyers and is a proven method to sell it faster and at a higher price than compared to a vacant property.